Additional inclusions: Mini bar, gym in a bag, laundry & tourism levy Tour of the Falls: Rainforest park usage fee US30 per person payable direct. Sundowner Cruise: Park usage fee US10 per person payable direct. Upstream of the iconic Victoria Falls in the Zambezi National Park lies a pristine piece of land on the banks of the Zambezi River. 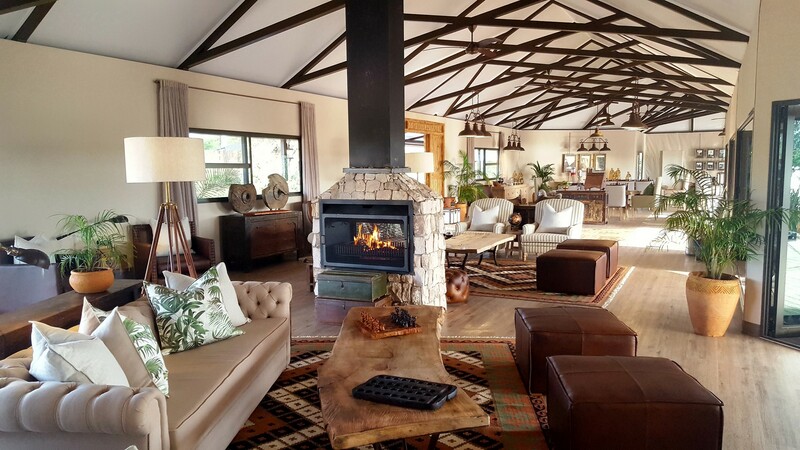 Nestled within this wild paradise is the Old Drift Lodge, a place frequented by elephant, buffalo, zebra, giraffe, lion and many other animals. 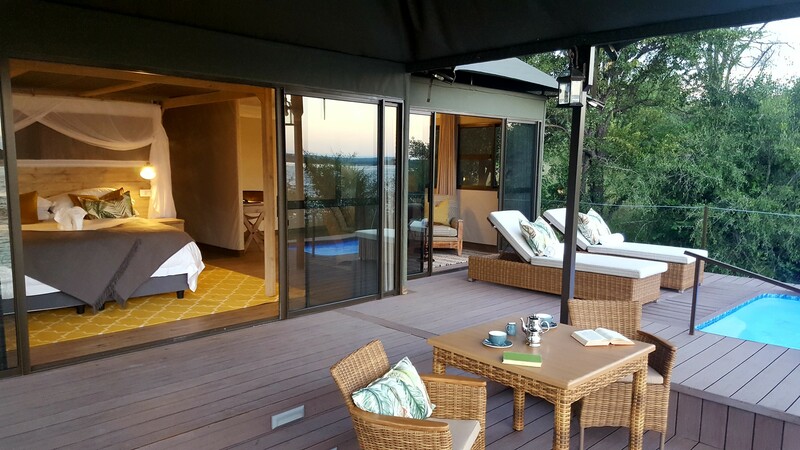 The lodge is suitable for families and offers spacious tented suites with an array of activities to experience Victoria Falls at its best. A spacious bedroom with en-suite bathroom equipped with indoor and outdoor shower, an outdoor bath with a view plus private plunge pool. 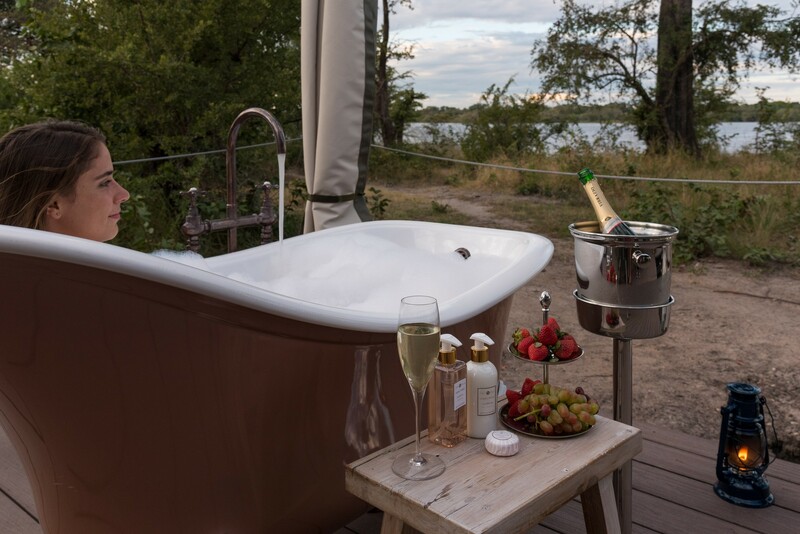 Consists of two inter leading en-suite tented suites consisting of 1 double and 1 twin. Each suite is equipped with a spacious bedroom with en-suite bathroom equipped with indoor and outdoor shower, an outdoor bath with a view plus private plunge pool. 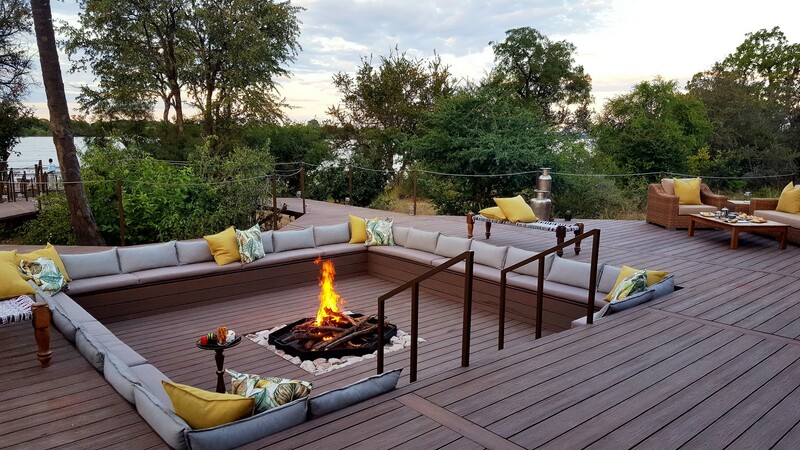 Main restaurant and bar area under canvas with sweeping views of the Zambezi River. 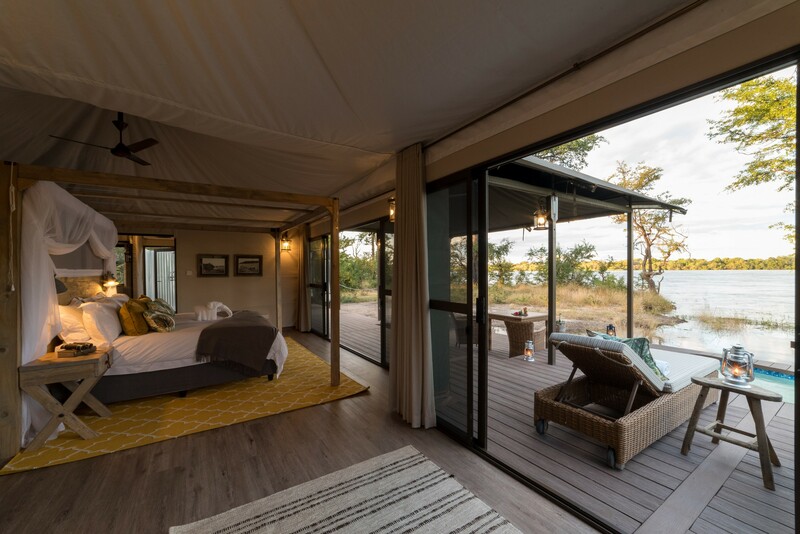 As Old Drift is unfenced and located in the Zambezi National Park, it is not recommended that children younger than 16 years occupy a room on their own (without an older sibling/adult present).